Being a nurse means that you have to be on your toes all day long. 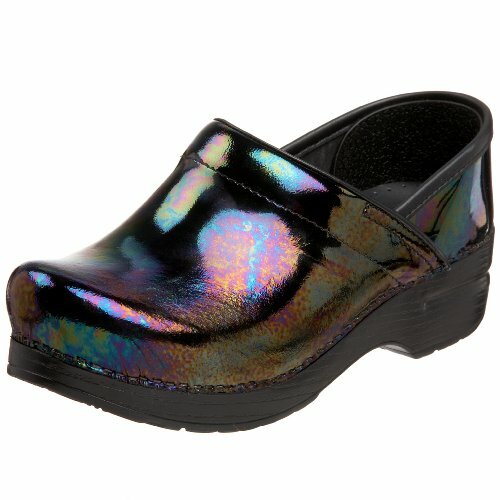 If you are a nurse, you need shoes that make you feel comfortable no matter what you are doing. The best nursing shoes are designed specifically to endure lot of wear and tear. These shoes should ideally make you feel comfortable during long periods of standing. As a nurse you may also have to stay back late or work overtime. You can be buzzed at anytime, so you need to be prepared at all times. The right kind of nursing shoes can really make a difference in how you carry yourself and how efficiently you work. There are several styles of shoes available commercially and a lot of them can be great for the nursing profession. Here we will talk about some of the shoe types that can really help you feel comfortable all through the day. Low heeled: It is a common notion that flat soled shoes are best for long periods of standing, but this is not true. If your shoes are completely flat, you will feel tired after a while. Instead, try and wear shoes that have very low and comfortable heels. When your heels are slightly elevated, you will certainly feel more comfortable. Bigger toe space: Shoes that are narrow from the front means that your toes are cramped up all day long. This can be really uncomfortable. When you are standing upright all day long, or are running around due to your work pressures, your toes tend to swell up. This means that the front of your shoes will be cramped up even more. If they are already narrow, it can lead to a lot of pain and discomfort. So purchase a pair that is roomy around your toes. Good grip: Since nurses have to keep walking all through the day, it is important to have shoes that have a good grip. Additionally, the shoes should not slip when you are walking. Often, you may find yourself to be in great hurry. In such a situation, a shoe that slips can land you into a painful accident. You don’t want to fall and injure yourself when you are running around, so ensure that your shoes are comfortable and grip your feet correctly. Lace up shoes and shoes with velcro straps work the best in such situations. Proper arch support: Nurses are required to rush from one room to another, and from one department to another. They are always on call and therefore their feet deserve the best comfort. Select shoes that have adequate cushioning on the soles and provide proper arch support. If you are going to be standing for a long time, consider buying shoes that are comfortable for both walking and standing. Try the shoes on at the store and walk around for a while to ensure they do not pinch and are comfortable when you are making any kind of stride. A lot of shoe stores have specialty shoes available with them. When you know what you want, you can simply go to the store and share your preferences with the salesman. You can then take a look at all the models they have available, finally select one that fits you. Nursing is a demanding job involving movement across a long working shift. Depending on your style and the level of movement involved, you need comfortable shoes for nursing shifts. 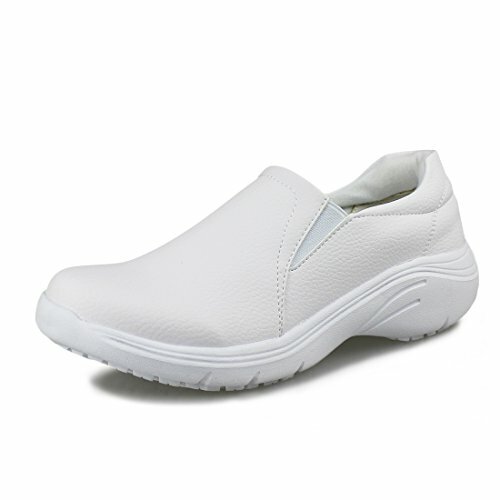 Different manufacturers have ventured in the production of stylish yet comfortable nursing shoes. Here is a guide to some of the best nursing shoes from top manufacturers. This shoe is designed to support the foot, leg and back of the body. It is a MaryJane shoe design made of durable milled leather material. The front of the shoe is designed for an appealing stylish finish. The sole is raised for those that desire a slightly healed shoe. The inner lining and padding offers increased comfort. This is an ideal shoe for nurses of both sexes. The back heel section is designed to offer heel support. The toe box area has adequate space for the feet and the inner shoe has a soft lining. The rubber sole is heeled and the insole cushioned for extra comfort. 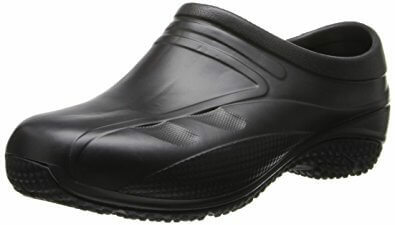 This is a lightweight shoe design for male nurses. With a contoured foot bed, the shoe offers a luxurious feel for the feet despite constant movements. The body is made of durable leather and the sole comes in flat rubber sole design. This is one of the best. This is a unique pair of clogs with a closed back. The EVA sole is designed to offer traction and the body made of durable leather. The shoe is lined using soft material and the insole padded for shock absorption. This is a durable shoe with a 1-inch heel. The back heel section has a cut back design to allow the foot heel settle in for added support. The insole is also heavily padded. 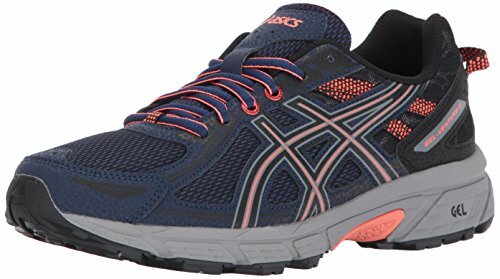 The arch support feature is well established in this shoe design. This shoe is lightweight and the insole removable. Dove is a unique shoe listed amongst the best nurses shoes for its comfort features. The sole is light in weight adding to the light feature of the shoe. The shoe is designed to offer stability and comfort. The upper body made of tumbled leather is designed in an appealing finish. This is an appealing female nurse shoe made with soft inner lining and a 1.25-inch heel. The shoe has a modern boat shoe design. The full grain leather is appealing and the insole made of soft cushioning. This is a grey appealing nurse shoe in sneaker design. The shoe is made of leather and rubber sole. With cushioned walls and a heavy padded insole, the shoe offers comfort. It has appealing colored laces that light up the shoe color. 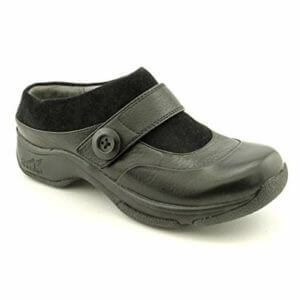 These are attractive nurse shoes with a buckle and heel construction. The leather body is durable and the sole made of durable rubber material. The sole is designed to offer traction and the insole padded to offer added comfort. This shoe comes in white and black color. The Paloma is one of the best shoes for nurse available. It is stylish and comfortable. It is made of durable leather and the sole or quality flexible rubber. The foot sole is padded for comfort and the body lined for added comfort. The flat shoe design increases contact with the floor region thus enhancing stability. 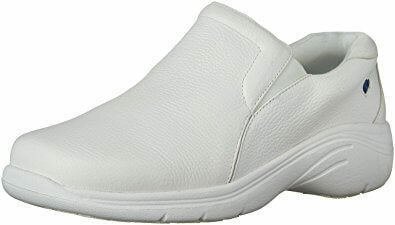 This is a quality nurse shoe that is flat allowing for long walks with ease. The foot bed is made of soft padding to increase comfort. 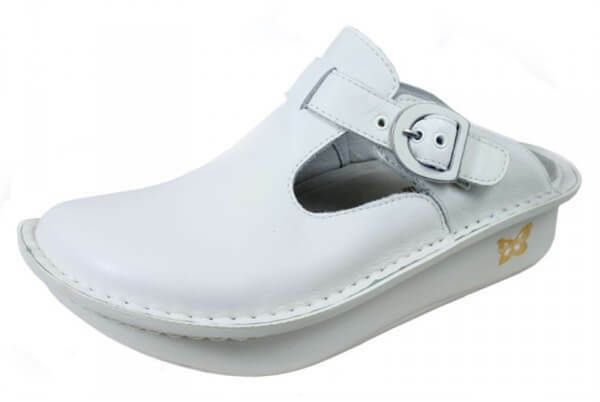 This stylish clog has a strap and buckle for custom fitting of the shoe. The shoe has a removable insole, which is easy to install. Let’s face it, no one buys white nursing shoes because they particularly like them, but certain hospitals can be very strict and picky about their dress code. Some hospitals are adamant that all nursing shoes should be ALL-WHITE; that means no colour stitching of branding of any kind – in other words – boring. If this sounds like your place of work, read on. White nursing shoes have a bad rap as being ugly and clunky and fashionistas won’t be caught dead in them, but much to your surprise, you will find that many white nursing shoes received a complete makeover in recent years. Gone are the “stereotypical” models (even if you do still get them in abundance); you no longer have to compromise style for comfort. These cute white pumps are designed in a classical Mary-Jane style. You can choose between all-white soles and hand sewn stitching or go for black soles for an added funky twist. The rocker heel is relatively high at about 2 inches and the footbed provides cushiony support. Adjustable Velcro straps will ensure that it accommodates all widths, and the white stain-resistant upper will make for an easy clean. The Donna was specifically designed for health care workers, and has all the same features as the Paloma. 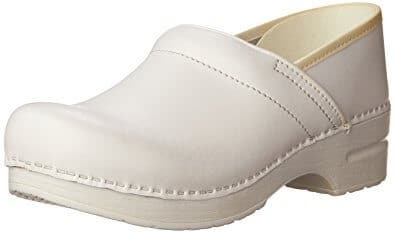 It is identical in design to the classical slip-on clog, but a smooth leather upper with a white buckle or sliver buckle strap adds a nice finishing touch. The rocker sole is slighter lower, and the footbed is comprised of a combination of latex and cork to form an anatomically correct fit. It can additionally accommodate custom-made orthotics. Dansko prides itself in setting the standard for nursing shoes. Granted, the Box Clog is not pretty; the classical white nursing shoe comes to mind. But it does come with a series of high end features that will leave your feet feeling pampered. 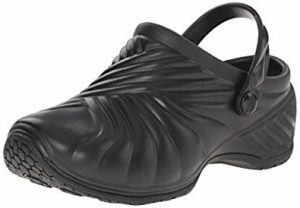 This design is Dansko’s flagship of the closed-back clog. Complete with all the trimmings, it is also water resistant and shock absorbent. Dansko’s are best purchased in store and not online. Refer to our previous post for in depth detail on the brand. Cherokee might not be a household name…yet, but just because it is modestly priced does not mean it cannot hold its own as a proper nursing shoe. In appearance, it is nothing spectacular, resembling a mixture between a traditional step-in nursing shoe and trainers. However, it deserved a spot on this list because of its value for money and extreme comfort. Consumers familiar with the brand only had good things to say about it, and the Peacock received shining reviews. It is comprised of a mixture of 100% cotton and leather, and extremely lightweight and breathable. They boast the same basic features of other nursing shoes, but pure polymer without any whitening chemicals will see to it that your Cherokees remain crispy white for much longer. Cheap Nursing Shoes doesn’t necessarily mean cheap quality of you know what you are looking for. When you are just starting out as a trainee nurse (or doctor) it is understandable that you do not want to splurge on a pair of nursing shoes just yet. Top of the range are expensive for good reason, but it can be quite a stretch to accommodate on a more modest pay check. Aside from affordability, many hospitals and clinics will only allow one type of shoe, and you will cry into your Dansko’s if you’ve forked out all that money on a shoe you’re not even allowed to wear. When it comes to quality, the general rule of “you get what you pay for” applies, but that is not to say that you cannot find quality, moderately decent looking shoes on a budget. Many new and established brands alike are breaking into the market, offering reasonably quality shoes at a fraction of the price. You know the saying, if the shoe fits… and at worst, if it doesn’t, you wouldn’t have wasted as small fortune. 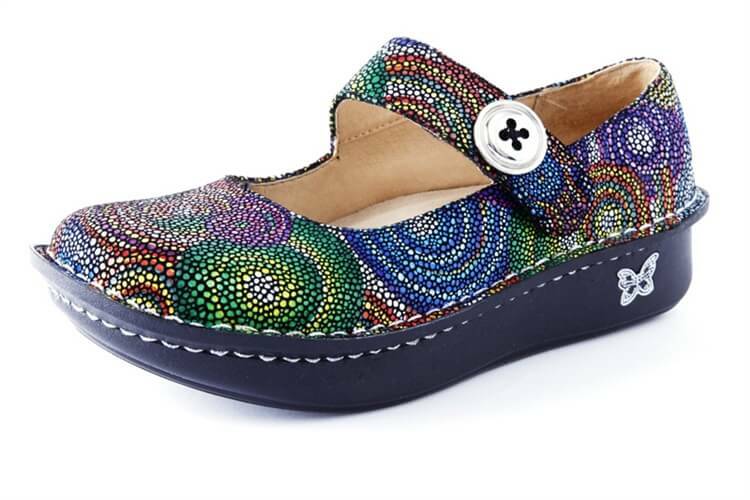 The Exact Anywear clogs are the prettiest and most vibrant on this list. Aside from the basic whites, they come in series of bold neon colors that will spruce up your scrubs. It is the injection-molded shoe of the brand, with everything you need for hours on your feet; it provides firm support on slip-resistant soles, but what puts it aside from other shoes is the patented airflow channel that keeps your feet dry and cool throughout the day. After a particular grimy day, you can just pop them into the tub for a wash. The Peacock nursing shoe does not resemble its namesake; it is not the prettiest one on this list, resembling a mixture between step-ins and trainers. In this price range however, you will be hard pressed to find more value for your money. 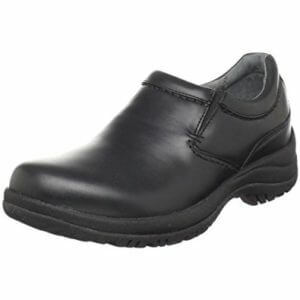 It has all the features that makes a good nursing shoe, and is comprised of a combination of leather and cotton. You need not look further than its shining user reviews to establish how much consumers already familiar with the brand adore them. 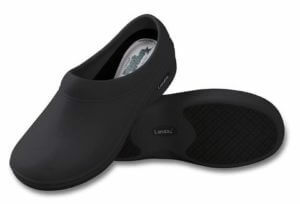 For a relatively cheap nursing shoe, Landua’s have one major draw point. They absorb shock like they’re trying to compete in the professional range, and the sole provides an almost bouncy sensation when walking. In addition to the cushiony footbed, the slip-resistant non-marking outsole will prevent scuffing. Take note however; do not purchase a pair of whites, as they have been reported to stain really easy. As a nurse, you should already be familiar with the Dickies workwear brand. They have been in business for 90 years, supplying sturdy, tough and quality apparel. 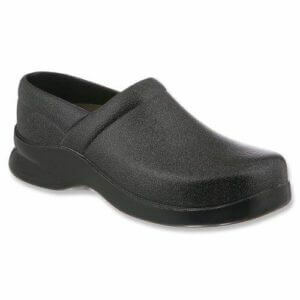 For silently treading the hospital hallways, Dickies made these incredibly lightweight but slip- resistant clogs of flexible DBL compound. The back strap is adjustable, so you can either wear it low for a more traditional clog appearance, or it can swivel up. Dansko shoes have the reputation of being some of the most comfortable, durable, and safe footwear for professionals working in a variety of industries. 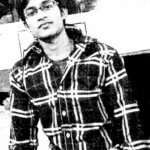 This reputation is well-earned; however, it does come with another, perhaps less favorable reputation as a result. Consumers often believe that Dansko shoes are an expensive option. In some cases, this is true – it is not unreasonable to pay over $100 for a pair of Dansko clogs. The price is justifiable; the quality of construction and extremely comfortable wear of Dansko shoes make them well worth the investment for workers who need to be on their feet for the majority of the day. Despite this reputation for being expensive, in reality Dansko offers several styles of shoes that were created with the more budget-conscious consumer in mind. If you are looking for cheap Dansko nursing shoes that will protect both your feet and your spending, look no further. One such model of shoe is the “Volley” clog. While the majority of Dansko shoes retail for well over $100 depending on the materials used to create them, the “Volley” delivers everything you love about this brand of shoes, but in a package which will leave you with money in the bank and peace of mind through your workday. These cheap Dansko nursing shoes feel anything but! Just like their more expensive leather clog styles, the Volley features a comfortable construction that is both safe and extremely breathable. The slight heel and posture-aligning hard insole of the shoe allow the shoe to do most of the work. These shoes may be less expensive to purchase, but they are backed by the same commitment to quality, safe footwear that has made Dansko a trusted name for years. 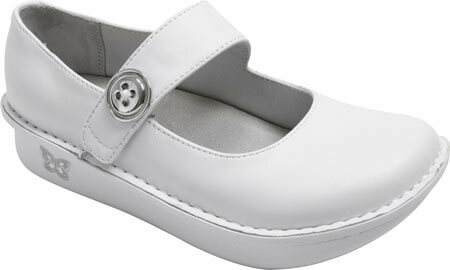 Another excellent choice for cheap Dansko nursing shoes is the “Phoebe” clog. 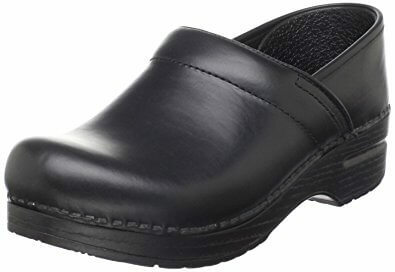 Available for as little as $60 depending on style and size, these shoes feature a leather upper that is safe around the many hazards on the nursing floor, and provides busy nurses with a comfortable, easy-to-clean shoe with features you may not expect to find in a less expensive footwear option. These shoes are utilitarian in nature – and unlike the rest of the lineup of Dansko shoe patterns, the Phoebe is available in one one of two colors. These shoes garner excellent ratings for both comfort and value. 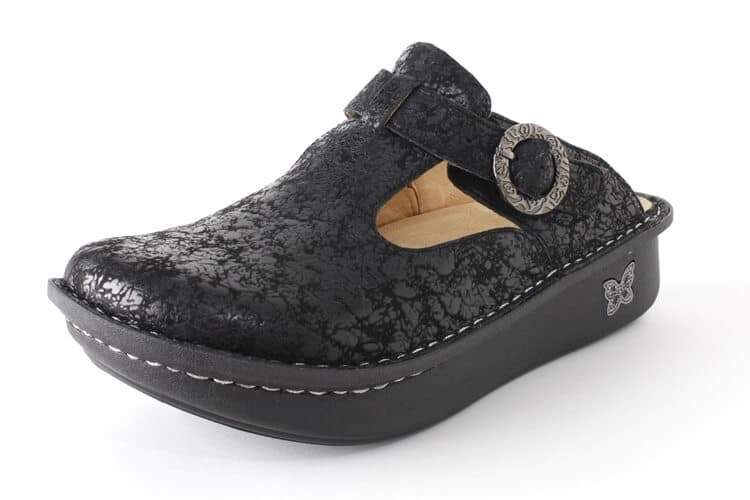 While they do not have the leather construction of some of the pricier clogs, they are a solid choice for the budget-minded nursing professional who wants to keep her feet happy, her wallet full, and her day in step with the many challenges of life in the medical field. 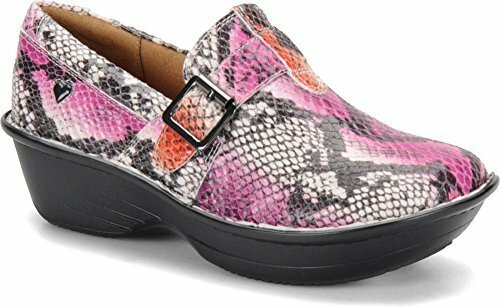 If you are looking for a pair of cheap Dansko nursing shoes but are afraid you may get priced out of the market on these lovely shoes, you’ll be happy to know that there are great options available to you. With the right price and proper fit, there is no reason not to enjoy the comfort and reliability that comes along with owning some of the world’s most comfortable and relied-upon shoes. For more read our discount Dansko Shoes post. Comfort: The comfort that a good pair of shoes can provide is unparalleled. If you have uncomfortable shoes, they severely curtail your mobility. You will not be able to move as fast and work as efficiently as you would if you had comfortable shoes. Ideally, you would look for comfortable shoes regardless of what use you would put them to. They provide you good lumbar support. They have a sole that keeps your feet comfortable and have proper arch support too for maximizing ease of use and support while you are standing or walking. Ventilation: Good nursing shoes keep your feet well ventilated and dry. Since you would be wearing your shoes to work everyday, you want them to last longer. When you have shoes that cut circulation of air to your feet, you tend to sweat more and have problems like foot door. With good nursing shoes, you no longer have to worry about something as trivial as this. A nurse should maintain good hygiene and a pair of good nursing shoes helps you do exactly that. Sturdiness: If you buy good nursing shoes, you will be able to wear them for a long time to come. This means that you can enjoy the comfort of your shoes for a long time. They would wear down less so the sole retains its comfort for a longer period of time. These shoes also protect your feet well enough. So if you accidentally drop something on your foot, which is more than likely when you are working or rushing in a hurry, your shoes will protect you from any serious physical damage. They take the shape of your feet: A good pair of shoes will mold themselves to your feet. This enables them to give you all round comfort. Your feet are snug and comfortable, your shoes provide great grip so that you do not accidentally slip or fall and they feel much more natural on your feet. You can accomplish a lot more when you do not have to worry about aching feet and cramped toes. Leather shoes are usually ideal for this purpose as they can easily take the shape of your feet. With the right sole and padding, they can be excellent for nursing. Having the right shoes for any purpose can never hurt. However, they are even more important when you have something as important as nursing for your profession. A professional nurse ideally stays on her feet most of the time during her shift and for this purpose, comfortable shoes are an extremely important asset. So choose a pair that keeps you comfortable and you would not even notice an especially long day at work. 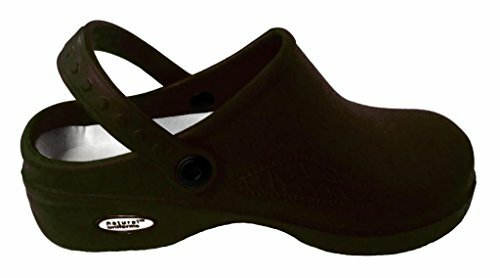 Crocs, with their unique and breathable design are perhaps the best and most comfortable shoes to wear. If you are looking for a pair that can really help you be on your feet all day long, then this is a pair for you. 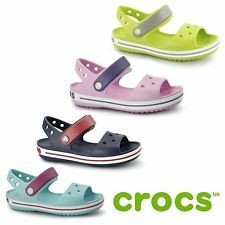 Crocs offer unwavering comfort and a casual, chic look. You can pair them with your nursing uniform and since they are available in a lot of different colors, you have a large variety to choose from. You can also pick out styles that are ideal for your particular work environment. They also offer trendy flats with soft soles and dressy sandals as well. When you’re wincing at every step, you are not really comfortable and may not be able to concentrate on the task at hand. As a nurse, it is important that you give your work all your attention. If you are uncomfortable and in pain, you may falter at your job and somebody’s life may be at stake. 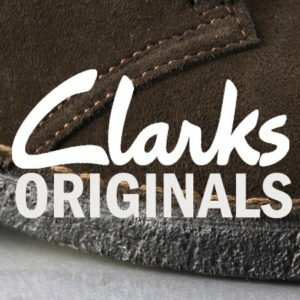 Clarks has a large variety of shoes that include casual, comfortable and chic. If you have a lot of running around you should buy footwear from their provo line which is especially designed for women who are required to be on their feet all day long. They are both comfortable and stylish enough to be worn at work. The name itself tells you how comfortable they are. Softspots clogs are designed to be foot friendly. They are great for a nurse who is running around all the time. They take the shape of your feet and offer you just the right arch support. They also have a soft and sturdy sole that does not wear very quickly. These clogs are stylish enough for you to wear at work. They are also very comfortable. 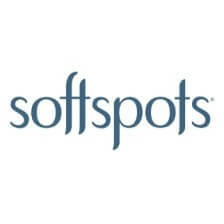 Softspots has also come up with their Supremes collection which is specifically aimed at the medical community. Wolky offers a collection of chic boots that definitely pamper your feet and go easy on them when you are constantly on the move. They are extremely stylish and go well with suits, pants, skirts and shorts. Since you have a nursing uniform that you wear, you do not have to worry about pairing your shoes with the outfit of your choice. However, when you own a pair of boots form Wolky, you can even wear them after work. They have a large variety of designs, and you can choose from their timeless classic styles to the more contemporary and chic numbers. Besides these shoes, slip ons and sneakers may work great for nurses too. However, the idea is to wear the shoes first and ensure that you feel completely comfortable in them before you choose to purchase them and wear them for the long hours at the clinic or hospital that you work at. Amazon.com: You can get everything you want on Amazon and nursing shoes are no different. If you are planning to buy a new pair for yourself, do check out the website. Here, you can choose from many different brands, including Reebok, Nike and Nurse Mates. The website allows you to add items to your wish list too. So if you do not have money to pay for a pair you need immediately, you can add them to your wish list and buy them when you actually do have the funds available. Amazon is also well known for offering the best possible prices, even on the best quality, branded products. Working Person’s Store: This is a store where working women can find everything they need. Their website has both men and women’s nursing shoes in different styles, price ranges and colors. You can browse their selection and choose the shoes that appeal to you the most. They have a wide range of sizes available too, so all you really have to do is to find a pair you like and check if they are available in your size. They provide free shipping within the U.S., so you can order without having to worry about postage and handling. Medical Scrubs Mall: This online mall has all merchandize that a medical practitioner would ever need. 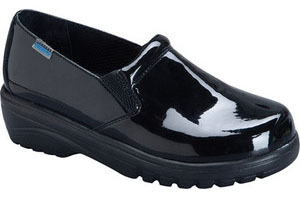 Whether you are looking for slip resistant clogs or special patent leather Mary Jane shoes, you will get them here. They have the largest range of nursing shoes you can find online. The great thing is, they have each pair available in different colors and sizes. They also have separate sections for both male and female nurses. They often have end of season sales, where you can get all their merchandize at specially discounted prices. Here, you can shop by brand or by the style of the shoes you prefer. Pulse Uniform: This is another online store that offers merchandize for professionals. 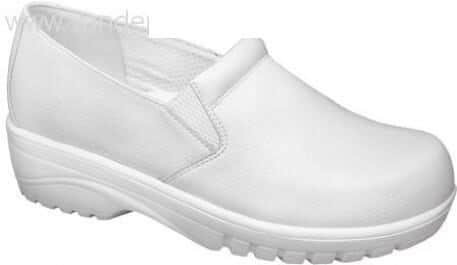 Here you can find both male and female nursing shoes in addition to unisex shoes. Most of the shoes available here are geared more towards comfort rather than style. So if you run an especially hectic shift at work, this is the perfect place for you to buy your nursing shoes from. They often sell their shoes at clearance prices, so you are bound to get the best deal possible if you keep checking in every now and then. Allheart, America’s Medical Superstore: The tagline of this online store says everything. This is a super specialty shopping store specializing only in merchandize for the medical staff. The best part of this online store is that you get shoes at prices that are simply incomparable. If you happen to log in during their clearance sales, you can definitely find yourself a great bargain. The shoes here are well priced, affordable and categorized elaborately so that you can find them easily. Finding the best nursing shoes may not always be tough, however finding the perfect pair which is also priced right, is somewhat of a challenge. If you are planning to buy a new pair for yourself or someone you know, it is best to shop around and see what is available on clearance. Sometimes, you can find the most stylish, comfortable and branded products for unbelievable prices. The stores listed above certainly make for an excellent start. Hi! I begin nursing school in August and will require particular shoes. The criteria for the shoes we require are they should be white, non-work, and have a back. I have high curves as well. I need something that will be agreeable and will have the capacity to surge around my clinical destinations in without having my feet hold the shoes. Any help is greatly appreciated thanks! Hi, Thanks for visiting. I will encourage you to find a trustworthy running store in your general area and have them do an appraisal of your feet and you’re strolling/running style. They can have you walk around or keep running on a treadmill for only a couple of minutes and essentially watch to see your pronation and can make suggestions (to regardless of the possibility that it isn’t a shoe that they convey) for something that would be agreeable in view of their perceptions of your pronation and arches.